Device drivers literally drive everything you're interested in--disks, monitors, keyboards, modems--everything outside the computer chip and memory. 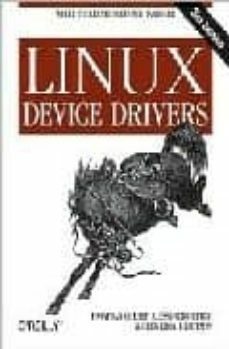 And writing device drivers is one of the few areas of programming for the Linux operating system that calls for unique, Linux-specific knowledge. For years now, programmers have relied on the classic "Linux Device Drivers" from O'Reilly to master this critical subject. Now in its third edition, this bestselling guide provides all the information you'll need to write drivers for a wide range of devices. Over the years the book has helped countless programmers learn: how to support computer peripherals under the Linux operating system how to develop and write software for new hardware under Linux the basics of Linux operation even if they are not expecting to write a driver The new edition of "Linux Device Drivers" is better than ever. The book covers all the significant changes to Version 2.6 of the Linux kernel, which simplifies many activities, and contains subtle new features that can make a driver both more efficient and more flexible. Readers will find new chapters on important types of drivers not covered previously, such as consoles, USB drivers, and more. Best of all, you don't have to be a kernel hacker to understand and enjoy this book. All you need is an understanding of the C programming language and some background in Unix system calls. And for maximum ease-of-use, the book uses full-featured examples that you can compile and run without special hardware. Today Linux holds fast as the most rapidly growing segment of the computer market and continues to win over enthusiastic adherents in manyapplicationareas. With this increasing support, Linux is now absolutely mainstream, and viewed as a solid platform for embedded systems. If you're writing device drivers, you'll want this book. In fact, you'll wonder how drivers are ever written without it.